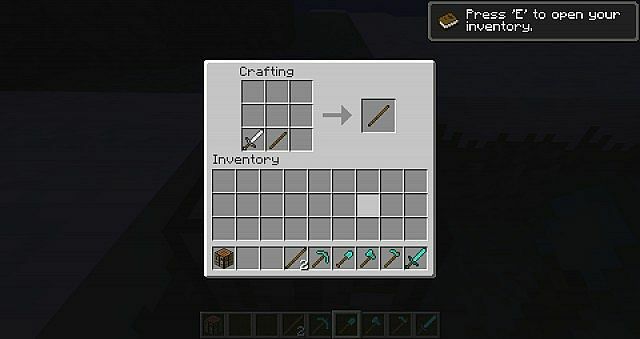 Sword block and Hoe farm! This mod adds Paxels! 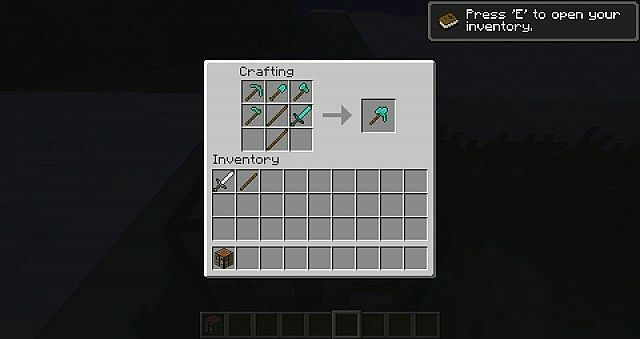 A combination of a shovel, axe, pickaxe, hoe, and sword! 3- Put it in the mod folder! 4- Open minecraft and play! 1- Delete my mod from mods folder! 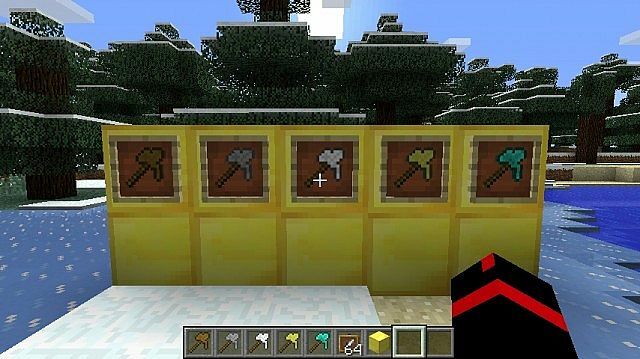 3 times the uses of the material's original pickaxe! 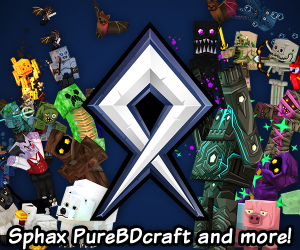 3 * 250(Iron pickaxe) = 750 uses of iron paxel! The speed is the same material speed. 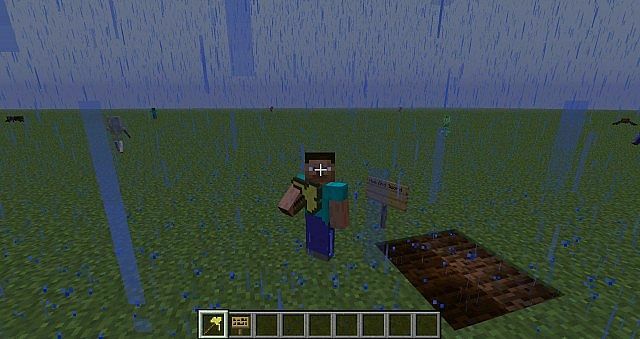 Also added Hoe and Sword functions like block and farm! Please if you need anymore features, list them below and I'll see if I can do it! Why do you need Paxels? 2) All in one tool! 4) Makes your life a hell of a lot easier! A Modshow case has been added! I would love to see this patched in with my computercraft turtles. May I include this in my Mod Package ? I've been looking for a nice Paxel mod and this seems to fit the bill. STOLEN FROM THE PAXELS IN THE VOLTZ MODPACK! Seems like a great Mod, I gave Diamond. Also I use the Mod were you can drop trees by hitting the bottom log. Will this work with it Or do I need to use a normal Axe? A really cool mod! Great job! Voltz paxels are enchantable, also their paxels were made before yours. My paxels are now enchantable and repairable, and I know that voltz paxels are made before mine. My paxels have special features than voltz paxels, so read in the description plz and you will see how my paxels are different than theirs..
Luv it! May I add it to my mod pack, Eternal Flame? 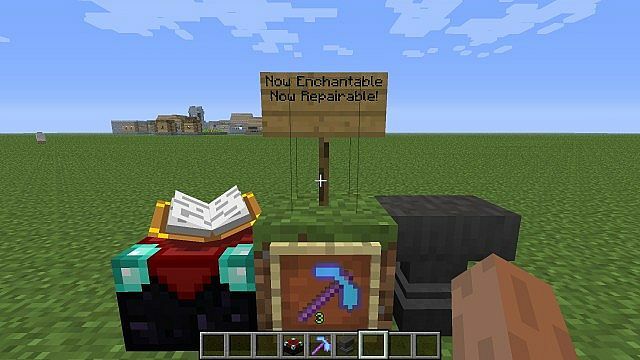 Intresting mod are they enchant able?